There are hundreds of museums all over the world, and almost every one of them is worth a peek inside, but probably my favourite oddball museum is the Musée Mécanique in San Francisco. This place is truly a one of a kind collection of mechanical oddities saved by a devoted collector. Together they tell a story of a bygone era. But the best thing about this museum is that it lets you interact with every piece inside their doors. Some museums have very strict velvet rope policies with their paintings and artefacts, so much so that sometimes you barely can make out whether the thing is real or not. But here, you can get right up close, stick your head inside and even have your fortune read by one of these mechanical wonders. 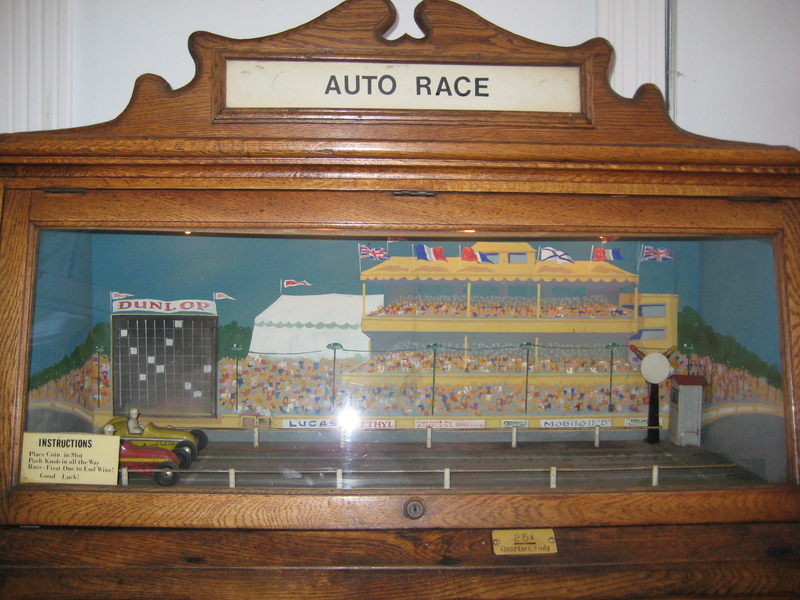 The Museum houses over 300 mechanical machines and is one of the biggest private collection of antique arcade games in the world! These early examples of what would become would-be modern day "video game" were just as innovative and exciting to the 19th-century audience as the Virtually Reality seems to us today. These machines brought the Victorians into a magical environment where their imagination could come alive and run amuck. To access the museum, take the Light Rail Line E or F to Jefferson St & Powell St station. You can walk the rest of the way towards Pier 45. The museum is located at the foot of Taylor Street along Fisherman's Wharf. Just as a note, be aware that this isn't your typical museum. It's not shiny, or fancy or filled with flourishes. It's a large warehouse filled with treasure. And what it lacks in polish, it more than excels in its pristine penny arcade. This old-school arcade has been lovingly repaired and every machine on display still works today for anyone who drops a coin in the slot. Unlike many video arcades today, these games still only cost a quarter or two. When you enter, you can use their change dispenser to trade in your dollar bills for coins and decide which archaic machines you want to explore. 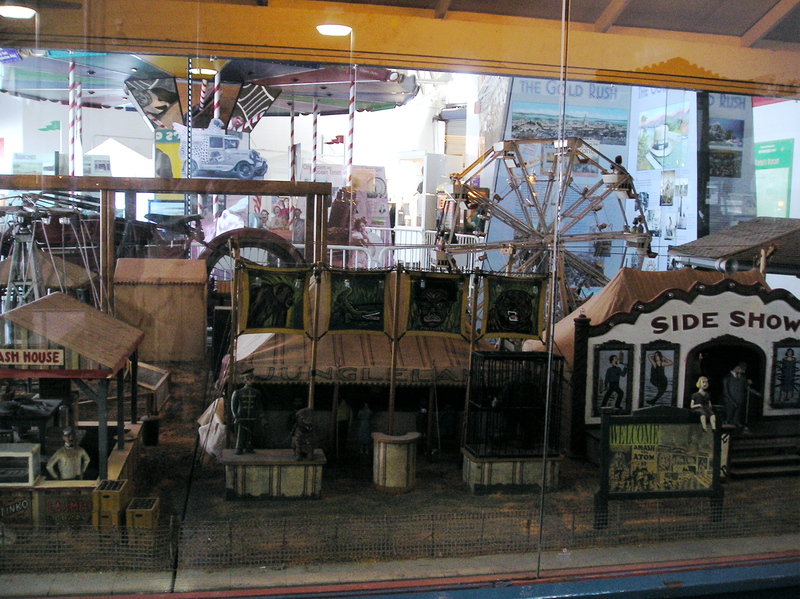 The various mechanical games include love testers, peep show viewers, Stereoscopes, fortune tellers, mechanical marionettes and an incredible, and rare, diorama from 1920 of a traveling carnival with a Ferris wheel, cotton candy maker, gazebo band and a myriad of other characters and attractions - all of which come to life with a simple drop of a coin. These Love-o-meters are a wonderfully nostalgic piece of history that still survives today. Even now when I walk into an arcade, such as a Dave & Busters, there is still some interpretation of the "Love Tester" hanging on. These old love tester machines worked by measuring the moisture on someone's hand and delivered a result based on that measurement. Hundreds of different versions where produced and you can check out many different ones here at the museum. While we might understand the science behind these machines now, they're still a fun game to play with your friends and either laugh or blush with embarrassment at the results. Another traditional troupe of the Mechanical Arcade era are the Fortune Tellers. These vintage machines would give out a printed card with a prediction of the user's fortune written on it. Depending on the complexity of the machine, the teller inside would sometimes move their arms, their eyes might flash, they might even talk and the lights inside would even twinkle and spark on and off to create an atmosphere of magic and mystery. Probably the most famous incarnation of the fortune teller machine is from the movie 'Big' where Tom Hank's character uses a Zoltar machine and it changes his fate forever. I think everyone, whenever they use one of these machines, wonders if the same thing will happen to them. The circus Diaorama is one of the most impressive vintage machines in the collection. I put my single coin in the slot and the moment I did the entire scene came alive. The Ferris wheel began to spin, the band began to play, children danced in the street and lights lite up throughout the carnival. Absolutely wonderful. Some of the more intriguing pieces in the museum are the morbid curiosity machines. The first is an animated scene with figurines depicting a French Execution. The second is a Stereoscope of the deadly 1906 Earthquake and fire. A stereoscope is a device which combines two photographs taken at different angles, which are viewed together, creating the impression of an image with depth and which is almost three dimensional. Death was a great obsession during the Victorian era and their curiosities needed to be sated by using machines like these. They huddled around them to get a glimpse at what death and the afterlife might just be like. Although now they seem so antiquated, at the time they were a truly extraordinaire thing to see. Other Stereoscopes found throughout the museum depict burlesque peep shows on varying themes. They are pretty tame, so no need to worry about bringing the kids, but one must imagine how shocking and titillating these machines must have been when they were first introduced. The most famous piece in the Museum is their 'Laffing Sal' - a TERRIFYING monster (well technically it's a doll but that's debatable) of a woman who laughs hysterically, rocks back and forth, waving her arms when activated. These machines were, surprisingly, mass-produced during the 1920s and early 1930s for amusement parks around America. Although she might be a little scary, she was the first animated amusement park character and helped usher in an era of animated characters such as Walt Disney's wonderful creatures. There are also dozens of different games to be played. 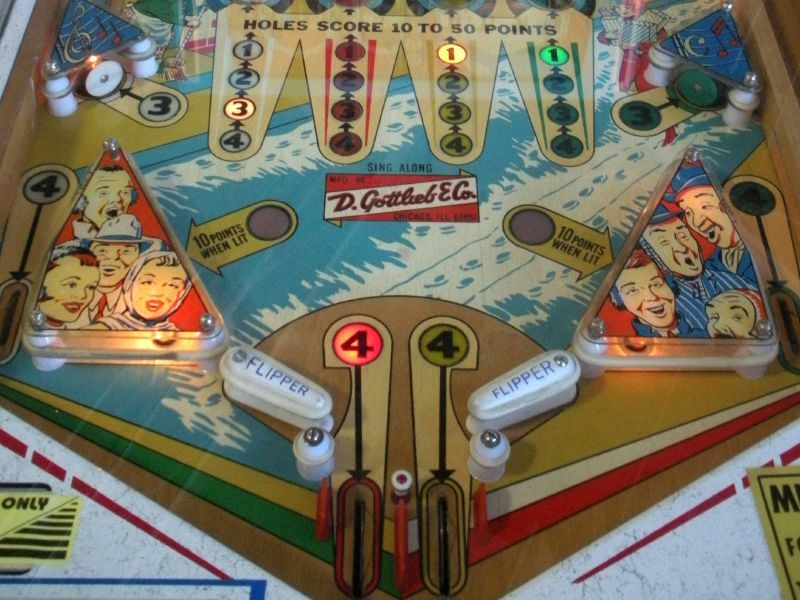 Early pinball machines, bowling games and shooting games were all very popular in the 1920s. These still work today and even a hundred years on are lots of fun. This place is definitely worth a look so check them out at the new home along Fisherman's Wharf in San Francisco.